When a piston is unloaded in the exact game tick he should extend or retract, he sometimes forgets to extend or retract after being reloaded. According to the 1.10 code decompiled with MCP, pistons don´t extend or retract immediately when they´re updated and powered/unpowered, but they just schedule a block event, that gets processed later. Block Events get processed every tick. 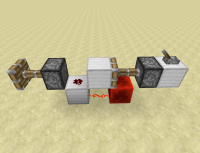 And only once the block events get processed the piston will extend/retract. However if the game is unloaded before the block events get processed, all scheduled block events get lost, because block events don´t get saved anywhere. Therefore, if the game is unloaded, pistons sometimes don´t extend or retract, even though they should. 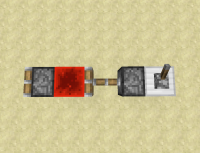 So while the bug that pistons get into a glitchy piston state when they forget to retract was resolved, the bug that pistons sometimes forget to retract has not been resolved yet. The situations depicted in the pictures below can occur if the game is unloaded in the exact moment the piston directly next to the lever finishes his extension. Code analysis and fix by Xcom6000 can be found in this comment.